When most people think of Basel... actually, mostly nobody thinks of Basel, ever. But now they are thinking of Basel! Because of this funny Basel Tourism video. 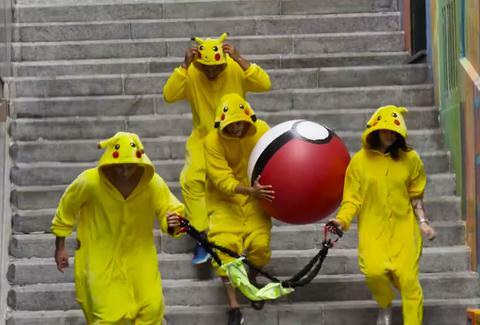 Uploaded to Facebook on Aug. 3, the promotional clip, titled Pokémon Go: The Revenge flips the Pokémon Go phenomenon on its head, with a pack of Pikachus running amok on the Swiss city, hurling human-sized Poké Balls at unsuspecting tourists. While simple in concept, the video's already amassed more than 70 million views in less than three days as of this article's publishing, and, more importantly, highlights the city's picturesque waterfront and old town. It also provides plenty of laughs as the Pikachu cosplay characters launch their attacks throughout the city. Really, it's brilliant, and has far more people talking about Basel than anytime other than when people misspell herbs on their grocery lists. Ryan Craggs is Thrillist's Senior News Editor. He'd prefer a pack for Bulbasaurs, to be honest. Follow him @ryanrcraggs.